Discover B'nai B'rith Senior Apartments in Wilkes-Barre, Pennsylvania. As the premier senior apartments in Wilkes-Barre, you will enjoy all of the benefits of living in a great location with easy access to transportation, shopping, and entertainment. 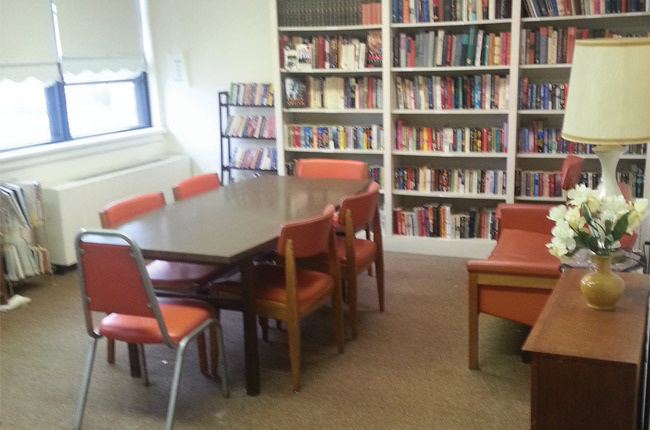 Our welcoming community offers a fully-stocked library, a beauty salon, and a community room. Our apartments feature individually-controlled heating and air conditioning, upgraded cabinets and floor, and a newly renovated interior. When it comes to getting out and about, B'nai B'rith Senior Apartments is ideally situated with a city bus line at your front door. Our location in the heart of Wilkes-Barre puts you within a half mile radius of physicians' offices, a post office, hospitals (including the VA Hospital), parks, places of worship, city agencies and services, universities, and many other businesses. Our friendly on-site management team invites you to call or stop by today to find out more about B'nai B'rith Senior Apartments in Wilkes-Barre, Pennsylvania.